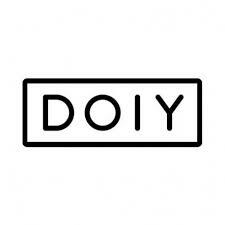 Design can sometimes take itself too seriously, but that’s where DOIY comes in. DOIY specialise in creating playful, creative versions of everyday items - like a pizza cutter shaped like a bike, a book end that looks like a staircase, or a lunchbox that looks like a piece of sushi. It’s the Barcelona-based brand DOIY’s creative approach to design that means a DOIY product will add instant cheer to your home and life.